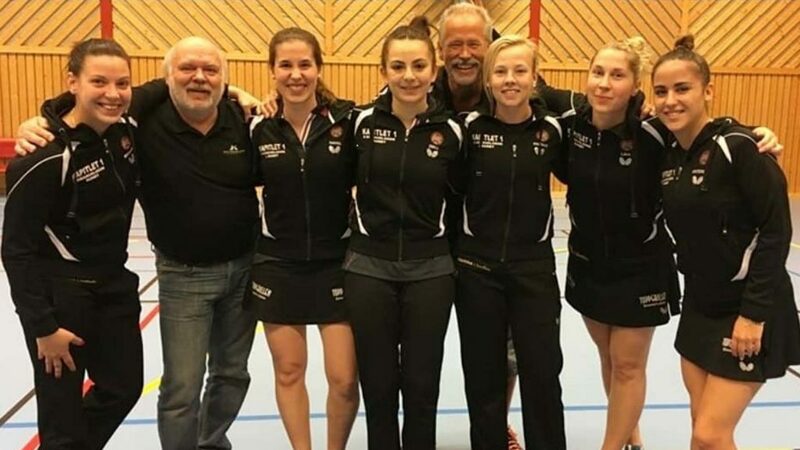 A new venture for Egypt’s Dina Meshref and it has been one that has proved successful; earlier in the year, some four months ago, she received an invitation to represent the Storfors Club in Sweden; the reigning African champion accepted the invitation. Now she has repeated the success enjoyed with Al-Ahly, the Cairo based club she helped guide to the Egyptian League title; she proved pivotal to the success of the Storfors in winning the Swedish League, the club finishing ahead of reigning champions Eslöv. It is an experience Dina Meshref has clearly enjoyed, an experience that has been more than just winning, more than just table tennis. Successful but winning such titles and being an important member of a team is both mentally and physically demanding. However, Dina Meshref does not intend to continue with the club commitments. Notably Dina Meshref will compete in the Uncle Pop 2018 ITTF Women’s World Cup to be staged later in the year in Chengdu, China.